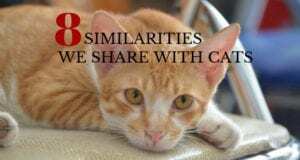 Cat Behavior | Why Do Cats Bury Food? 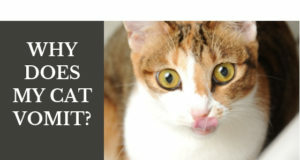 Home > Health > Eating and Nutrition > Why Do Cats Bury Food? 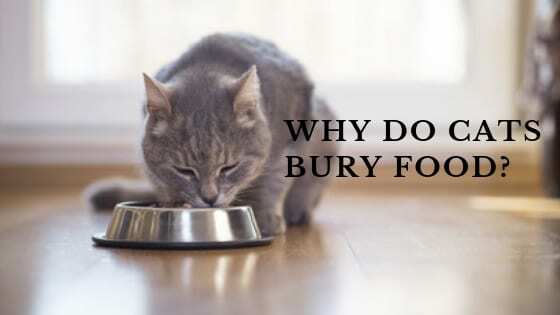 Why Do Cats Bury Food? Not all cats do this, but if yours does, the behavior may have been puzzling to you. It’s a relatively common behavior and not one you need to worry about. The behavior typically looks the same as if the cat is trying to bury waste. You may notice him scraping his front paw on the floor around the bowl. In some cases, cats get so involved in attempting to cover that they actually start pushing the bowl around. Is Your Cat Sending You a Message? Many people think that when their cats display this behavior they are saying they dislike the food but this isn’t true. You will see cats performing this covering ritual even with food they have previously eaten and liked. In the wild, a cat may attempt to bury or cover any uneaten food in order to avoid attracting any predators to the area. It also is an attempt to not alert any other potential prey that a feline hunter is in the vicinity. Cats aren’t scavengers so they don’t bury the food to consume later – it’s strictly for protection purposes. Even an indoor cat who has never set foot outside retains this survival instinct; it’s just a matter of how much it concerns them and that determines to what degree the behavior is displayed. Consider giving him smaller portions. Watch the amount he typically eats in a meal and don’t overdo what you’re offering him. Don’t leave food bowls down when the cat has given the signal that he’s finished. Take the food bowl up, clean any spills on the floor and leave fresh water available. If you leave food out for free-choice eating, try placing food in puzzle feeders so your cat has to “hunt” for his meal. When you notice your cat displaying the behavior, distract him with some playtime or another activity. 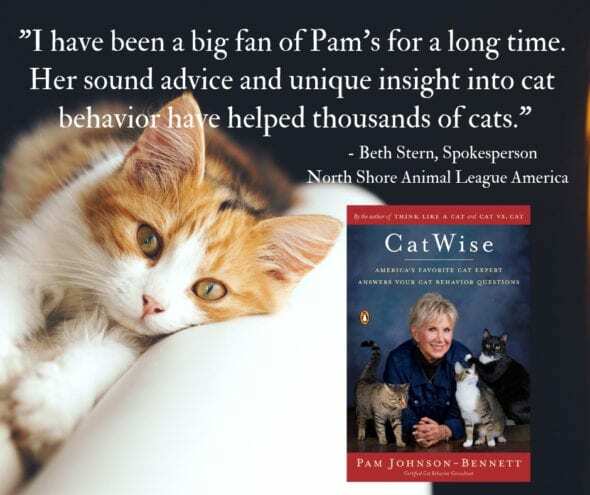 For more specifics on mealtime behavior and other training tips, refer to any of Pam’s books. The books by best-selling author, Pam Johnson-Bennett, are available in bookstores everywhere, through your favorite online book retail site and also right here on our website. Next: Are Litter Box Liners a Good Idea?